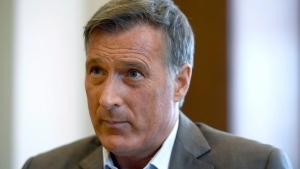 OTTAWA – Outspoken Conservative MP and failed leadership contender Maxime Bernier is facing criticism from within his caucus, and beyond, over a series of tweets accusing Prime Minister Justin Trudeau of fostering a "cult of diversity" that he believes will destroy the country. In a six-tweet thread posted Sunday evening, the Quebec MP says that more diversity will "divide us into little tribes" and bring "distrust, social conflict, and potentially violence." He described this as "cultural balkanization." Balkanization refers to the geopolitical splitting apart of a state into smaller regions with tension between them. Bernier—who came second to Conservative Leader Andrew Scheer in the party's 2017 leadership race— said that while he thinks diversity should be celebrated and that Canada has taken steps to address past injustices, he questions promoting more diversity. Since his defeat, Scheer has removed him from the caucus' shadow cabinet, and seated him among the backbenches, citing his ongoing promotion of his controversial positions. Specifically in the thread, Bernier takes issue with Trudeau’s message that "diversity is our strength," and thinks Canadian cultural traditions should be emphasized, though he does not provide an example of such tradition. "Having people live among us who reject basic Western values such as freedom, equality, tolerance and openness doesn’t make us strong. People who refuse to integrate into our society and want to live apart in their ghetto don’t make our society strong," Bernier said. He argues that "Trudeau's extreme multiculturalism and cult of diversity" will divide Canadians into "political clienteles" that can be bought with taxpayer money and special privileges. In subsequent tweets, Bernier sought to emphasize that his issue is with "more diversity" and "ever more diversity," which he says Trudeau is proposing with "radical multiculturalism." "Canada has always been a diverse country and this is part of who we are. I love this Canada. But there is a difference between recognizing diversity and pushing for ever more of it. Something infinitely diverse has no core identity and ceases to exist," he said. CTV News has reached out to Bernier to further elaborate on his social media remarks. 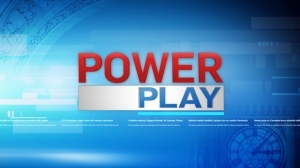 A Conservative source tells CTV News that Bernier will not be removed from caucus over the tweets. In a statement provided to CTV News, Scheer's spokesperson Brock Harrison didn’t address the comments directly, but attempted to distance the party's position from Bernier's views. "Conservatives will continue to recognize and celebrate the contributions made to Canada from people from diverse backgrounds that have enriched our history and our society," Harrison said. "Canada has been built by people from all over the world coming here to enjoy the freedom, prosperity and equality that our country offers," Harrison said. Weighing in on the matter, Ontario Minister of Children, Community and Social Services Lisa MacLeod, who is responsible for immigration said she is not, nor has she ever been sympathetic to Bernier. "Ontario is a welcoming society. It has been built by its diversity," said the Ottawa-area MPP, who said her riding is one of the most diverse in the province, and she supported Scheer in the federal leadership race. "As a Progressive Conservative and a member of the Conservative Party of Canada, we have benefited greatly from diversity across the province, but also throughout the country, so I reject what he said," MacLeod told reporters in Ottawa. Fellow failed leadership candidate and Conservative MP Deepak Obhrai shared his thoughts online Monday, saying that diversity has benefitted Canada and "must be celebrated." He chided Bernier, saying "focusing on a few individuals/groups who may reject our values" is not representative. "As a Conservative MP of diverse background our party is about the big blue tent that I advocated during the leadership race. The Conservative movement is very attractive to all Canadians. That’s where our focus should be," he said. Another Conservative MP who ran for leader, Erin O’Toole, took his turn offering a tweet thread on the matter. He said that while Canada faces challenges, "to suggest the challenges are because of 'diversity' –either too much or too little– is simplistic & shows a disconnect with our past and present." “Canada is a successful country because we respect diversity and have had, by and large, a rules-based system that treats individuals fairly, regardless of their personal backgrounds. Conservatives have always understood this and will continue to fight to protect it,” he continued. Conservative MP Michelle Rempel took to Twitter not long after Bernier did Sunday evening, "apropos of nothing," to offer her own perspective on diversity in Canada. She said that diversity is hard-won, and expressed frustration over people who either assert either that diversity is a strength, or that pluralism has failed, without offering policy to support it. "Equally as threatening to our pluralism as Trudeau's lack of ability to maintain a planned immigration system, is those who make claims that Canada is becoming a ghettoized state, infers that Canada is no longer a functioning pluralism, without data to support the same," she said. Speaking at a community event in P.E.I., Trudeau appeared to weigh in, and restated his stance that diversity is Canada's strength. "If there's something I know, whenever I look out over a crowd anywhere in Canada, it’s that the different ages, the different faces, the different perspectives, the different backgrounds, those are incredible sources of strength and resilience for our community," he said. "These are the things that make us strong, our differences are always a source of strength in Canada." Liberal MP Celina Celina Caesar-Chavannes—who has engaged in previous online debates with Bernier, including after he asserted that the world revolved around her skin colour, said Monday that she was "completely disappointed" by the thread, calling it "toxic and damaging to everything we hold dear." Other Liberal MPs have chimed in on Bernier's comments, including Liberal MP Ken Hardie who said "a society that's diverse doesn't have to be 'divided'" and invited him to his B.C. riding which includes Surrey, to see "how well diversity works as a strength." "Max Bernier take note: Newcomers have not threatened what it means to be Canadian. To the contrary, they have enriched what it means to be Canadian. Because being Canadian means being compassionate, being hospitable, and not just tolerating difference, but celebrating difference," said Liberal MP Arif Virani. Bernier claims to be only politician to want truly free trade with U.S.